Remember Valentine’s Day in elementary school, when it was a beautifully simple time because we were all in it together? 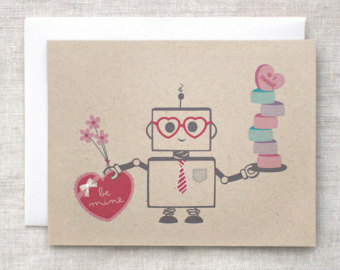 For adults, Valentine’s Day has turned into a minefield because if you’re not careful, you’ll get a limb blown off. Valentine’s is a lose lose day- if you’re single, you’re immediately pitied and if you’re in a relationship, you’re panicking about your game plan. Since Valentine’s is difficult enough, I have selected and reviewed some mobile apps that will make you laugh, get you drunk, meet bearded men, and escape awkward social situations. For some people that’s university in a nutshell, but for others, these mobile apps will help you have the Valentine’s Day that you want. Let’s start with the obvious must-have app for Valentine’s Day- sweet, glorious booze! Drink Advisor works in the ‘biggest cities in the world’ so I was surprised Vancouver was included. The categories were everything from cocktail lounges to nightclubs so there’s certainly something for everyone. I would suggest adding a ‘drinking alone’ option as V-Day approaches. This app was well designed, simple to use and had relevant information like hours of operation included. I could see someone pulling up the app and deciding on a bar in a matter of seconds. 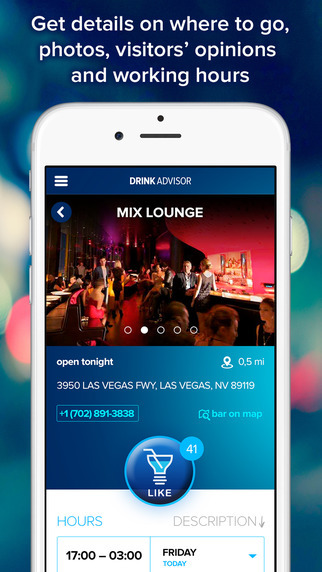 Compared to some other bar mobile apps I tried, Drink Advisor (shockingly) didn’t have any ads. I liked that this app showed customer reviews so you could read honest feedback about places. I suspect this app will get an increasing amount of usage as Valentine’s Day looms closer. Why did I do this to myself? Oh right, in an attempt to present a well rounded selection of Valentine’s mobile apps. After rolling my eyes, my first thought is that this app would be perfect for teenagers and girls who love posting inspirational quotes on Instagram. For the small price of nothing (except your dignity), you can download this mobile app and have access to seemingly endless posts about love. The quotes range from a light eye roll to major guffawing so there’s definitely something for everyone. The app is really easy to use and doesn’t have any ads which is much appreciated but it will only appeal to a certain percentage of the population. Vancouver seems to be in a secret contest to compete with the guys on Vikings for facial hair, which means that Bristlr is the perfect mobile dating app for Valentine’s Day. The app claims to be “light-hearted and fun,” and “really just to talk to people with beards” so it will be less pressure for everyone as Valentine’s approaches. Canadians love lumberjacks so this app will make a lot of people in the city very happy. 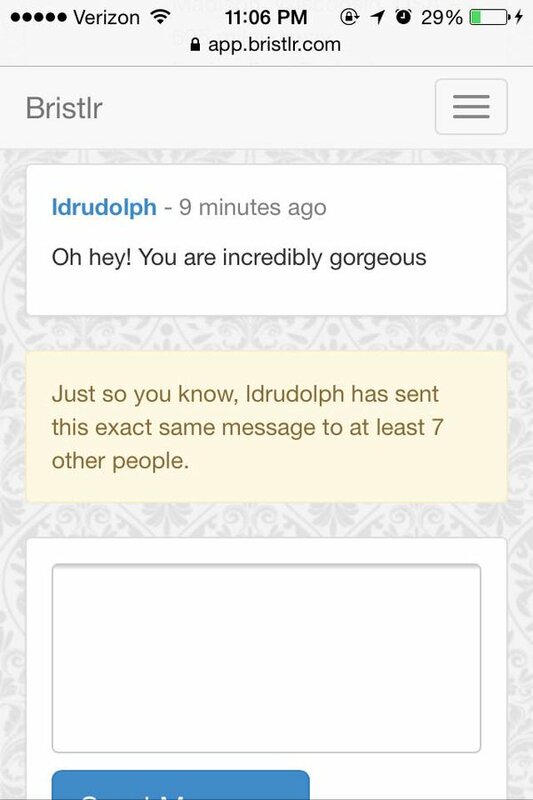 One hilarious part of the app is that it notifies you when someone recycles the same message to other people. Points for creativity! The app is free so give it a whirl and see what bearded guys are out there. If it goes horribly wrong, you’ll have a good story for the bartender when you’ve found a pub using Drink Advisor. Much to my horror, I actually loved this mobile app. 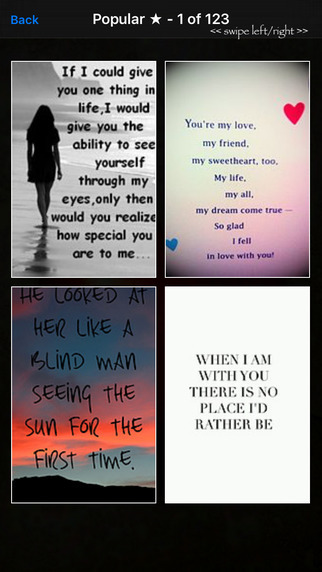 I was ready to hate/mock it like ‘Love Quotes’ but it won me over immediately. 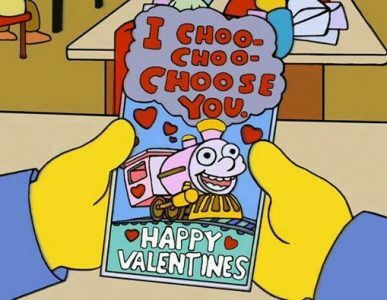 It’s a classier (and more expensive looking) version of the Valentine’s cards we used to send each other as kids. These cards include photos, personalized messages, custom patterns and colours and so much more. I emailed a card as a test, and I immediately got a reply saying that the card was really pretty and much appreciated (the recipient is a graphic designer so her compliment on design carries more weight). The free options in the mobile app seem endless but there are also some fancy in-app purchases for those who need to make more of an impression (or might be in trouble). Invite me to your party! The card categories are logical which makes finding what you want really easy. The UI/UX design is fantastic because the app is seamless and a joy to use. This would explain why it’s been featured in everything from InStyle magazine to the New York Times. 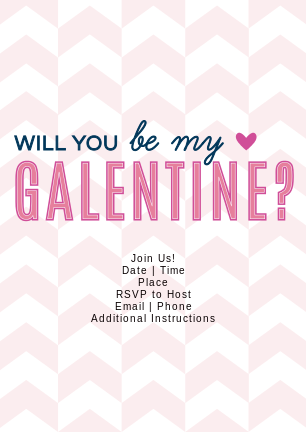 However, the most endearing part of the Red Stamp mobile app is that it has an entire section of Galentine’s Day cards for all the Leslie Knope fans! In an effort to remain unbiased, I forced myself to download the Valentine Love Card mobile app. There are lots of free photo options like face montages, birthday cards, and of course love cards. The photo options are SUPER cheesy but in a hilarious 80’s way. This mobile app reminds me of the glamour shots from Napoleon Dynamite so maybe that’s the reason I find it more entertaining than the Love Quotes. There’s an endearing quality to this app because it’s not trying to be anything it’s not. The design and graphics are terrible but that doesn’t matter because you’re having too much fun sending dumb photos of yourself to people. I’m looking after a chinchilla for a few weeks so I figured the 542 photos I took of him would be perfect for a Valentine glamour shot. I was definitely not wrong. 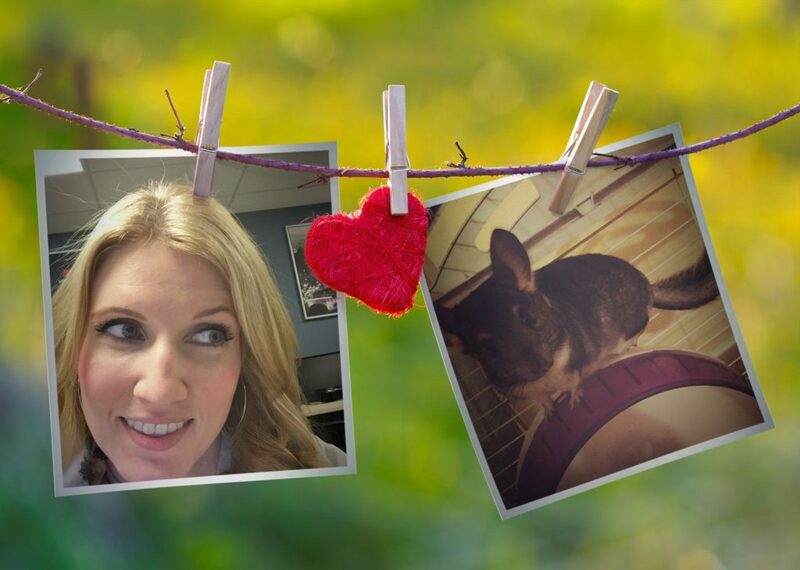 *Note: No chinchillas were harmed in the making of this Valentine card. The only reason this mobile app got an honourable mention is because it’s not available in Canada yet. Apparently Chelsea doesn’t think Canadians need to escape uncomfortable social situations. 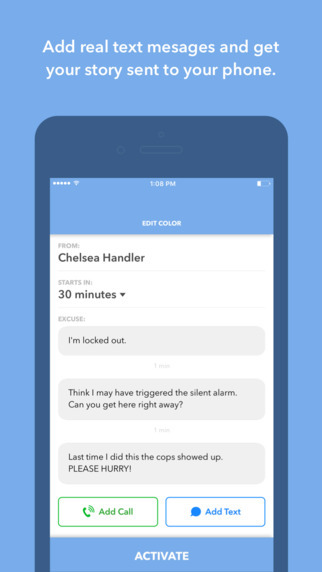 As someone who has pretended to be deaf in one ear (yes, just like that Seinfeld episode) to avoid an awkward elevator ride, I would say that we desperately need the app. In fact, Canadians need the app more than most because we’re too polite to just leave, we need a bulletproof escape plan! Chelsea’s mobile app has fantastic, yet believable excuses which can be programmed to come as a text from someone in your phone so it appears legit. I tested another mobile app that was an excuse generator and they were so terrible you’d be better off saying you got hit by a car or just cutting off the friendship forever. At the very least, this app could save you from a horrible date with a bearded man. These mobile apps will all but guarantee you the Valentine’s Day that you want. If you want to be a hermit, there’s an app for that. You want to avoid your couple friends, there’s also an app for that! Mobile apps have allowed us the freedom to be struck by Cupid’s bow or completely ignore it. However, I hope that elementary school kids won’t transition to digital cards and lose the joy of delivering little paper Valentines.